It’s not a new idea anymore, brands need video. Whether it’s for a social post, newsletter campaign or onsite, videos engage the consumer, build trust, and have a higher conversion rate than brands who don’t use video. Don’t have video yet? Don’t fret. What used to cost an arm and leg to produce such forms of content is now at a fraction of the price. And, you can skip the fancy production needs. Videos that are raw and authentic are capturing audiences everywhere. So, leave the high-valued production costs for Hollywood. What Is Inbound Video Marketing? Inbound video marketing is a way to promote your brand and attract customers to your site organically. The goal of inbound video marketing is to attract a prospective customer, convert them to a lead, close them as a buyer/customer, and keep them happy. It’s that simple. Inbound video marketing is a way to draw the prospective attention to your site. If you’re trying to sell a product, video can help them make a buying decision. And finally, video can be used as smart content to keep them coming back and promote your brand. How Do You Implement Video Marketing? When using video on your site, it will increase search engine visibility to draw audiences to your site. Here’s how to do so. Just like any article or blog, you’ll want to understand who your targeted audience is and create content for their wants and needs. Research keywords that have low competition but higher search volume. Keep your videos short. Most people are on the go and don’t have time to watch a 5 to 10 minute video. Create videos two minutes or shorter. We prefer taking our two-minute videos and break them up into part one and part two so videos are no more than 60-second videos—and you have more video content on site and to promote. You can take it further and break them up into four parts if it makes sense. High-quality content doesn’t mean you have to spend thousands of dollars, it means the content used—topic, writing, point—is good. The video itself can be you or someone on your team in front of a clean background answering any questions or speaking about the subject. Throw in a couple graphics and you have a clean, easy-to-digest video. 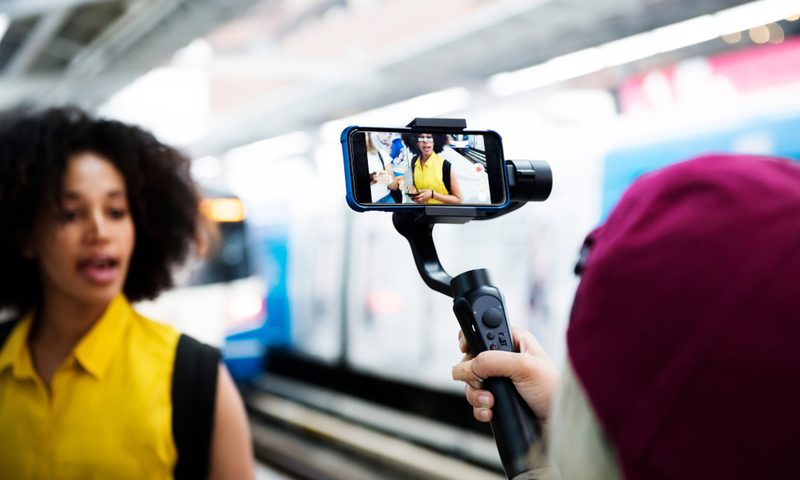 Learn how to use your iPhone to shoot video. Whether it’s a landing page or blog post, embed the video on your site and have the content transcribed and onsite. This will help with SEO. You can use YouTube, which can help your Google rankings since Google owns YouTube. Once you’ve embedded the video on the website, now it’s time to distribute and promote your work. Plug the content in a newsletter and share on your social platforms. Use the URL from your site that the video lives on so people will be drawn to your website. Make sure you have your call-to-action, whether it’s a sign up, demo or purchase. If you don’t tell them customer what to do, they definitely won’t do anything. Drive them to do something. Using inbound video marketing is one way to help attract, convert, close, and delight your audience. Not only will it provide useful content, but it will also organically drive traffic to your site and help you be a thought leader in your space. Have fun! Want to create a video marketing strategy? Contact us for a free consult. Newer PostWhy Use Interactive Content?